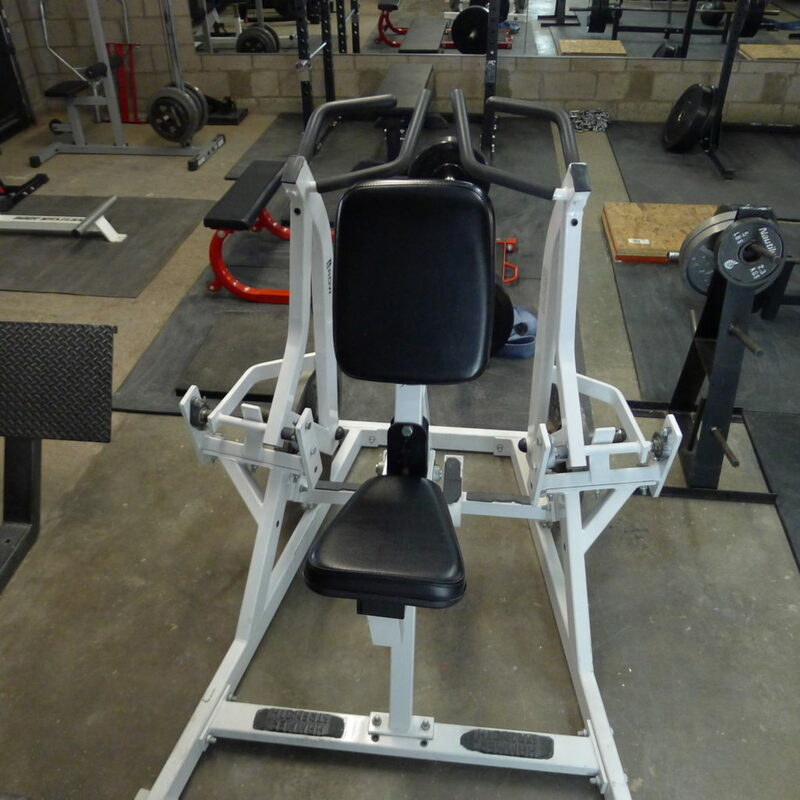 In the year 2000, I purchased my first piece of fitness equipment (a Powertec power rack with a bench). Along the way, I kept making small purchases, and fourteen years later, voila. I recently moved into a new house in Phoenix, AZ. 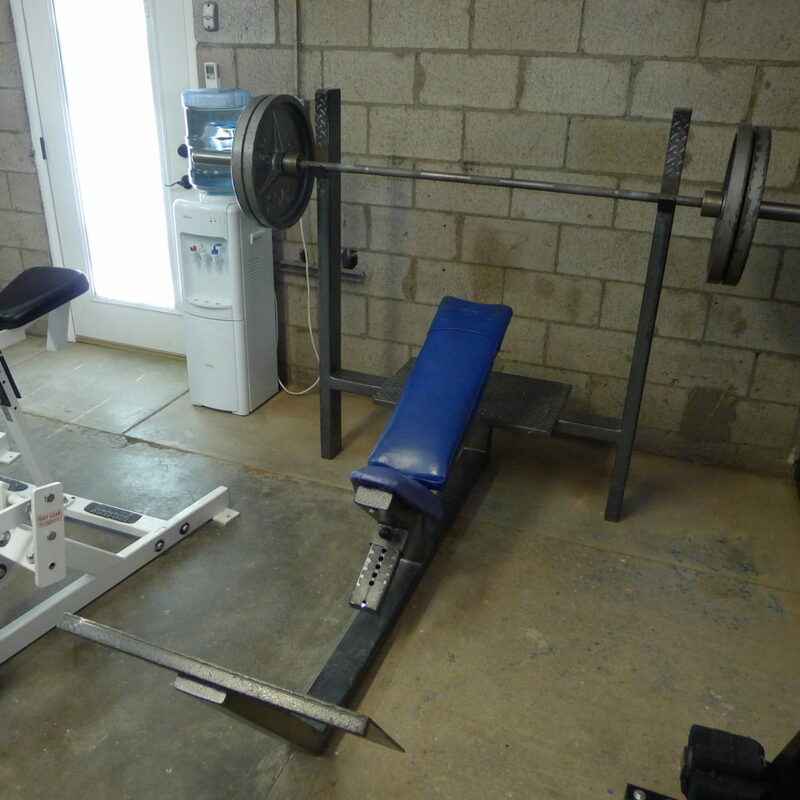 Here is the new and improved garage gym. 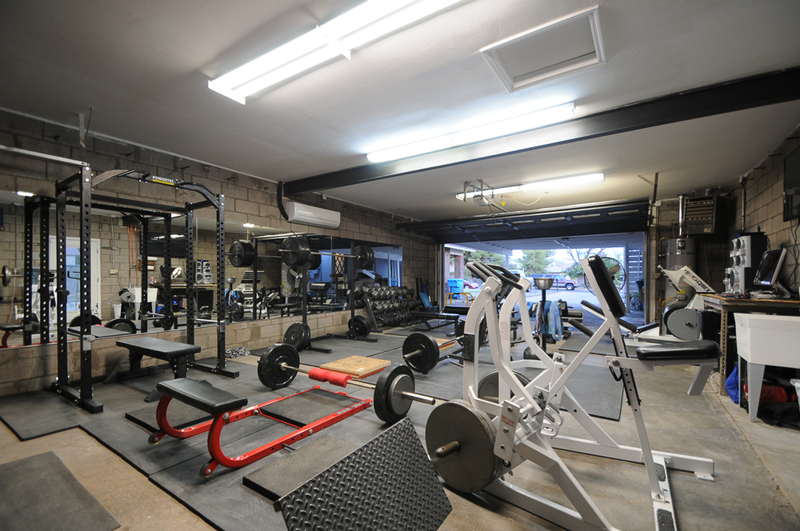 It has all the big things I like in terms of equipment, and also all the little things that make the gym awesome (bathroom, mirrors, rubber mats, mini-fridge, heater, AC unit, HDTV, stereo, etc.). 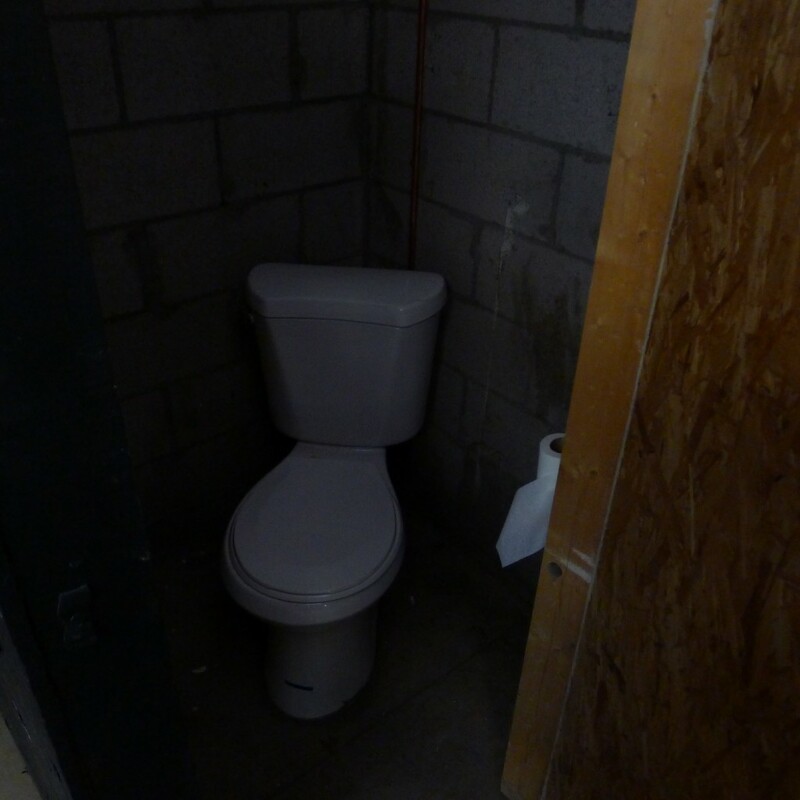 Below are pictures of the place. 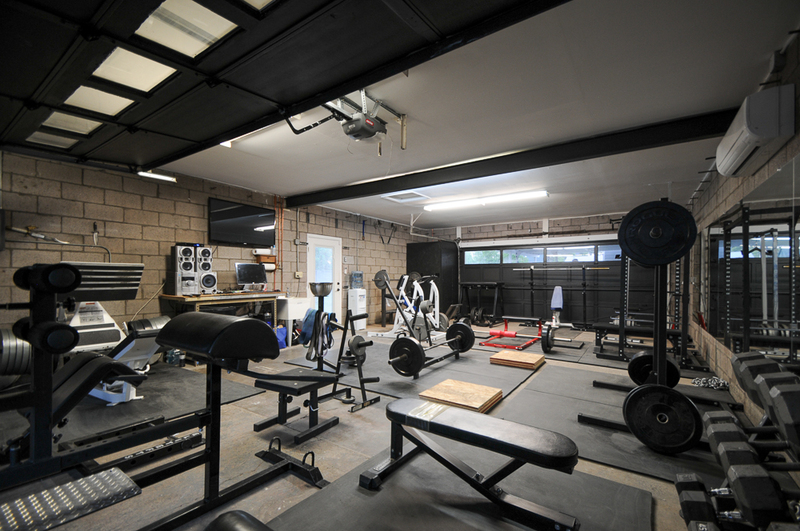 I encourage all fitness enthusiasts with their own homes to gradually build up their own gyms. 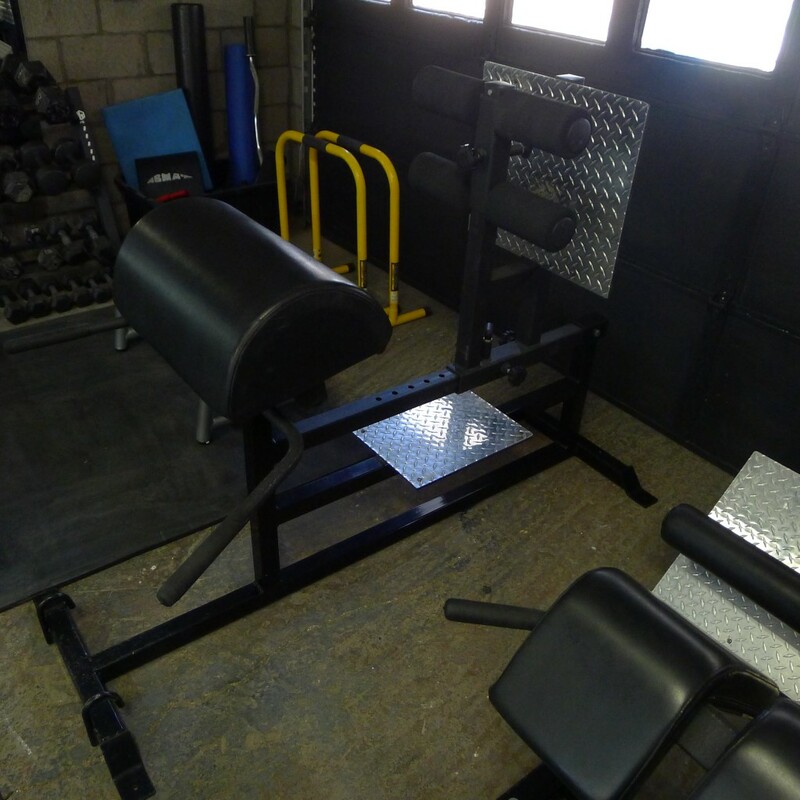 There’s no waiting for equipment, no distractions, you can play your own music, and you can equip your gym with the vital tools that will give you a much better chance of succeeding. 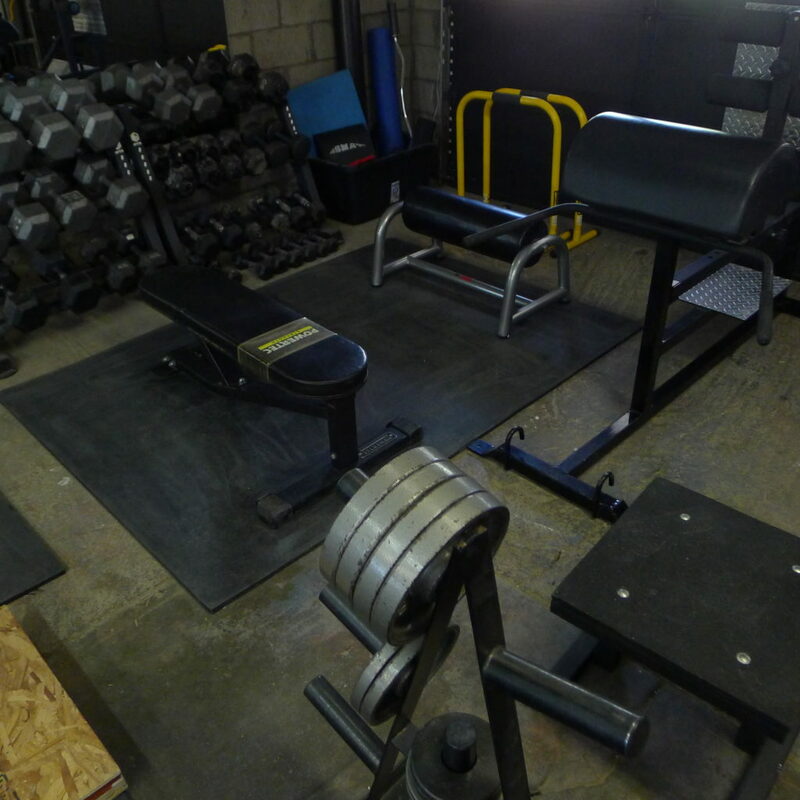 Most of my equipment was purchased at Elitefts, Sorinex, Rogue, and Perform Better (no affiliate links). What brought you out to Phoenix?? I just bought a house here too and have an extra single car detached garage that I’ve been outfitting. Still got a long way to go to get on your level. James, I’ve lived here for most of my life (couple years in Flagstaff for undergrad, a year in Auckland for PhD studies). Nice job on getting started! 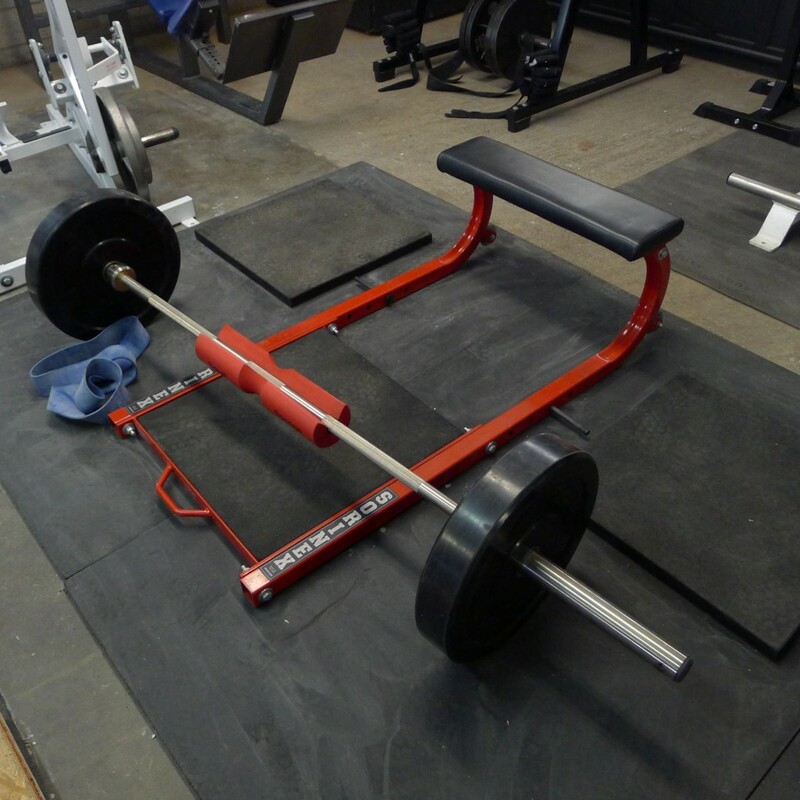 A power rack/bench/barbell/plates goes a long way! What are you using to cover the floor? Looks good. Wish I had an elitefts ghr. Horse stall mats. They cost $75 each I believe. I Love Your Gym Bret It Has Everything That’s Needed To Make Better Bodies. 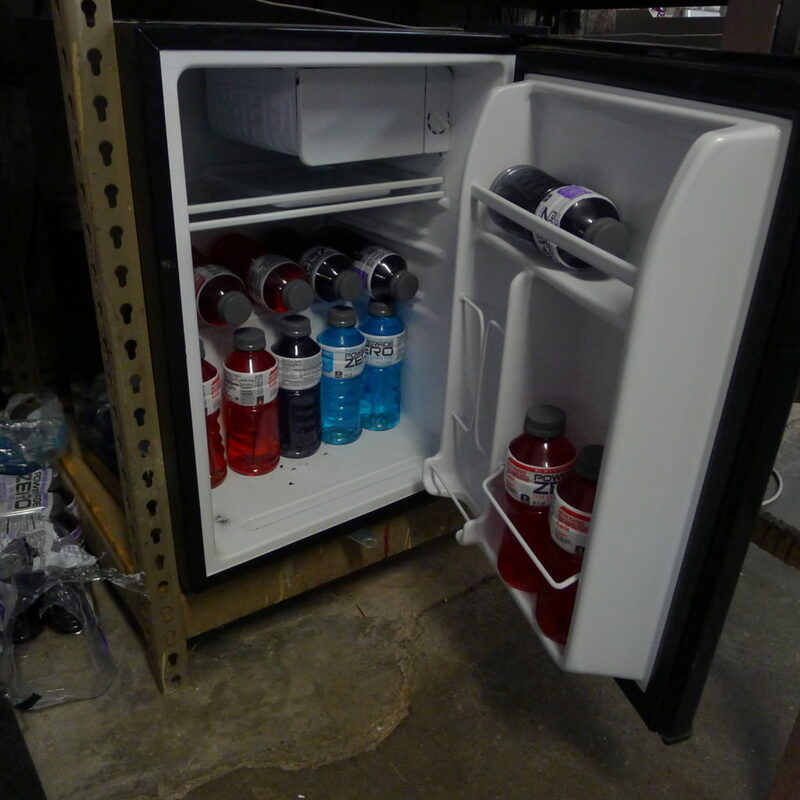 I Love The Fact That You Don’t Have 1 Piece Of Cardio Equipment In There Lol. Been Following You For A Whil, I’m Now A licenced Physical Therapist Assistant And Personal Trainer And Have Built Many Of Nice Butts And Strengthen ManY Hip Extensor Muscles In My Clients And Patients Respectively. Wish You continued Success And Let Us See Your New Crib I Bet It’s Dope. Thank you David! Keep building them booties. Very nice Bret . Where did you put your cars? I have a ginormous carport (actually two – on both sides of the garage), so that’s no problemo. Wow! That is tough!!! 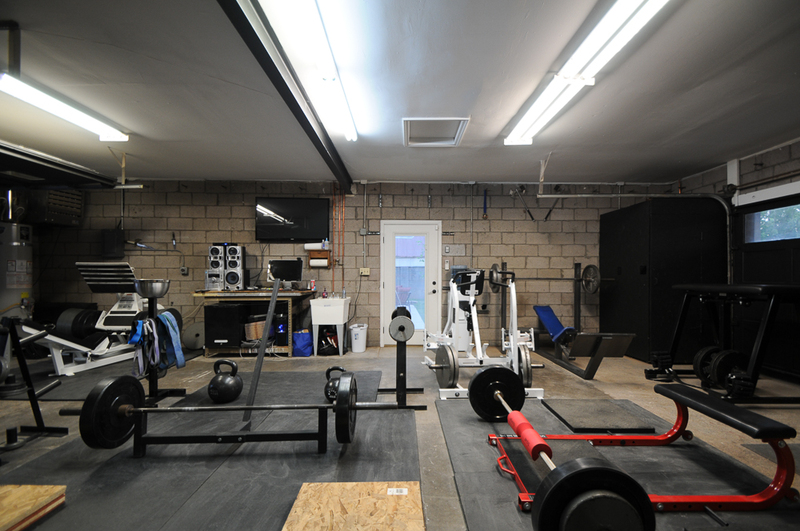 Enjoy the awesome home gym! What is that orange pad that you use for your Hip Thrust!? Yep, I got if off of Amazon…it’s a squat sponge and it comes in red or blue. Awesome gym!! I want one myself. How much room do you have there? Congratulations and thanks for all you’ve done here. I’ve been lifting for some years now and never found a place to go for solid info. In past few months, I found your blog while was trying to improve my gf’s workout. Since then, you’ve become my go to guy to all fitness related cause there just to much bs in the internet and you are on the other hand the must humble, open minded and still research focused coach. I hope someday I can spend somedays in US training with you. Awesome gym Bret! I love having my own home Gym too! What kind of ac unit is that and how was it installed? I’m in Texas and using fans just doesn’t work when its 100+ out! Thanks a ton Brett. 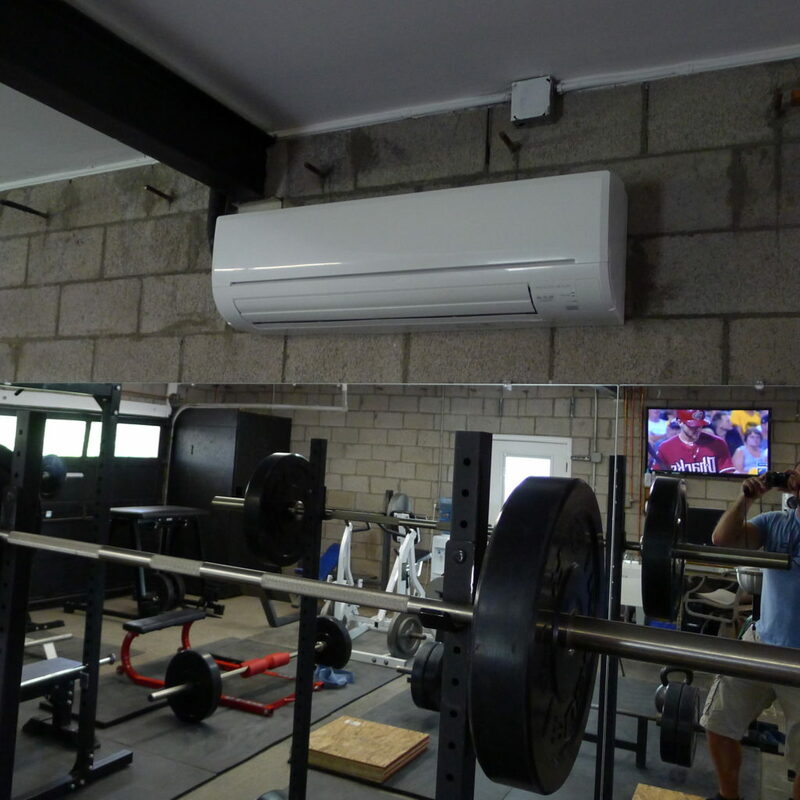 Seems like the best investment for any garage gym in the scorching heat! Hey Bret, you have best of ROI equipments. So it is kinda maximalist home gym. 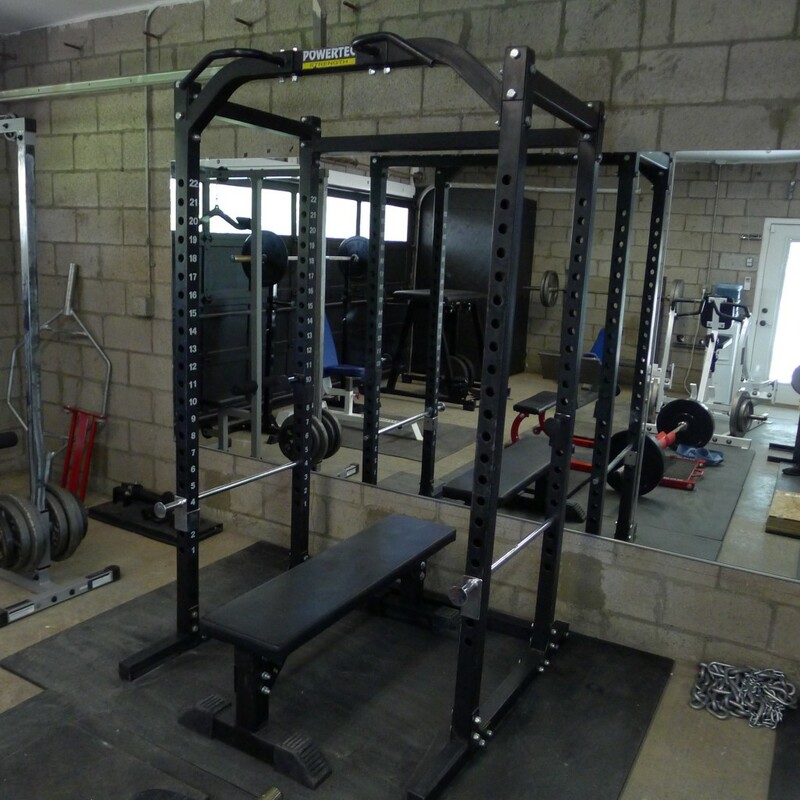 Due to lack of space I have a power rack (load bearing upto 800lbs), Olympic Barbell with coloured Bumpers, adjustable bench, pull bars, ab rollers, 16-24-32 kg KBs. Almost no dumbbells except light weights. 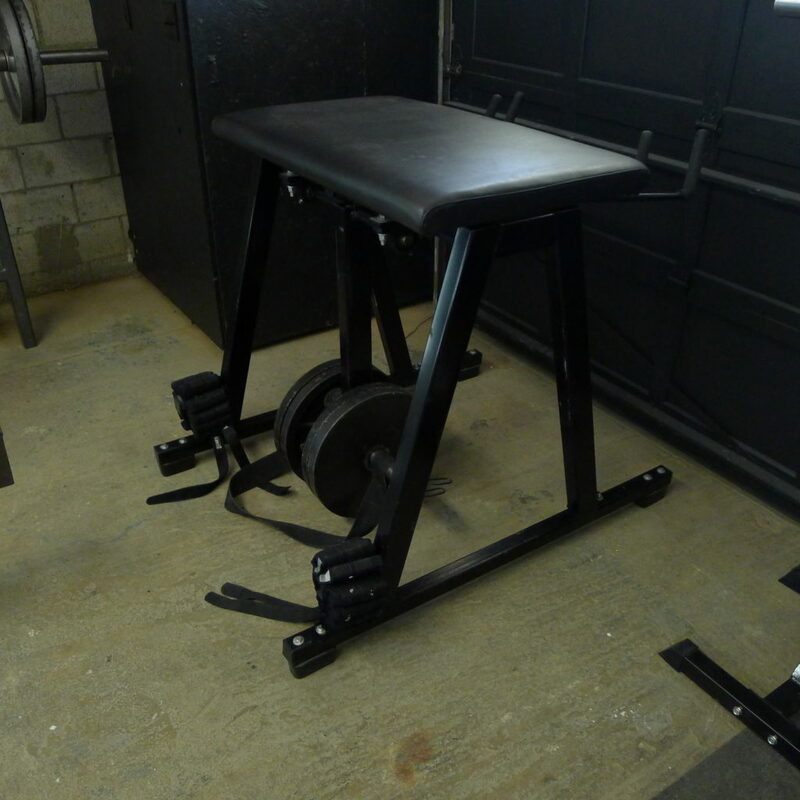 That’s kind of what I had for a really long time; a cheap power rack and bench, a barbell, plates, and a collar. A year later I bought a pair of 25lb dummbells LOL. 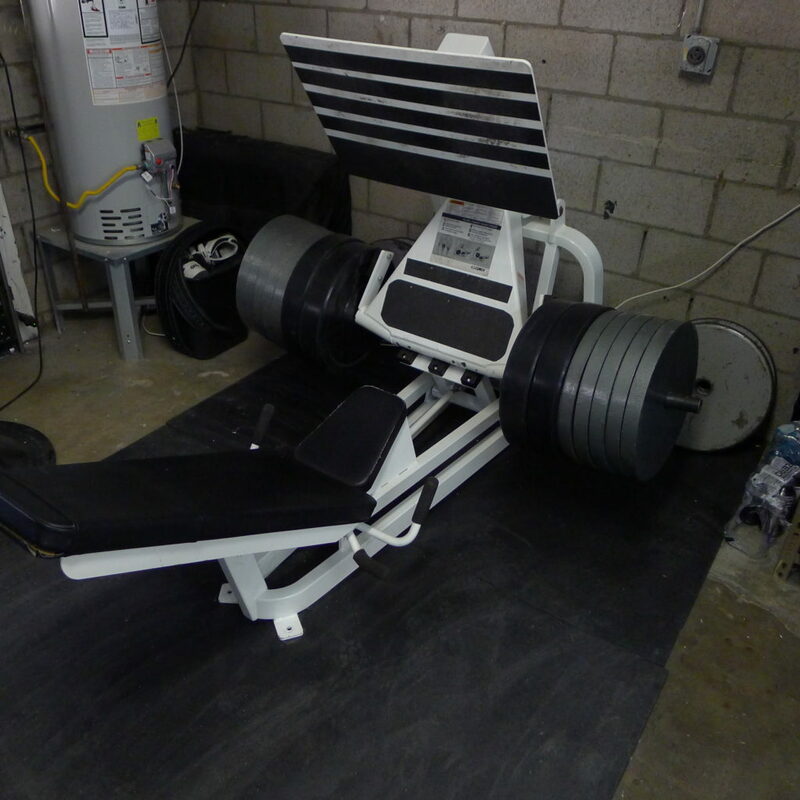 A few years later, I picked up the GHD, 45 degree hyper, reverse hyper, heavier dumbbells, etc. 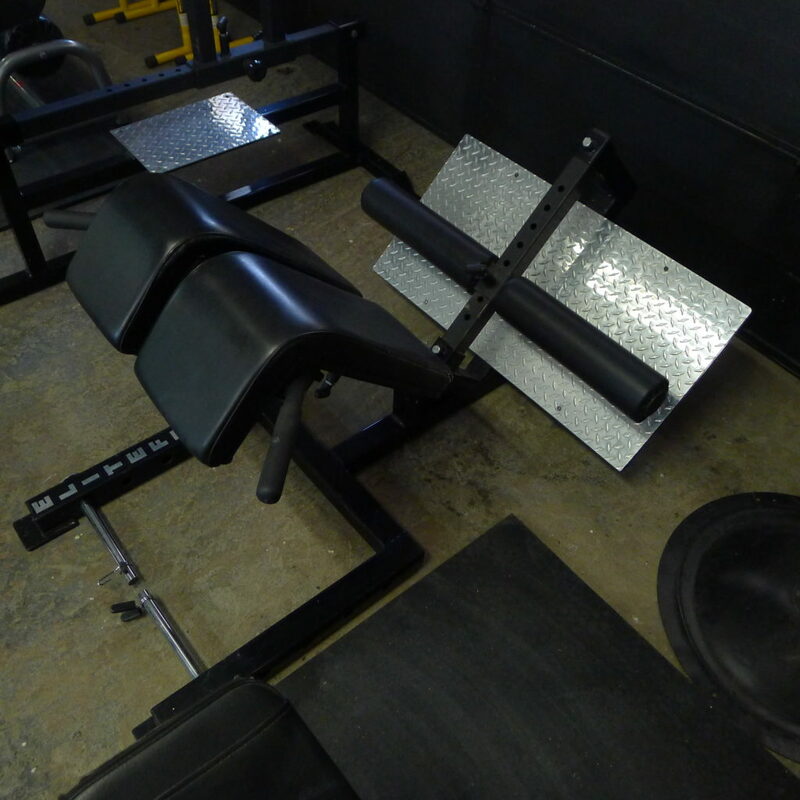 Then I got the incline press, military bench, etc. Last year I invented the hip thruster and picked up the Cybex leg press, squat stands, bumper plates, etc. This year I bought the Hammer strength row and some more accessories. 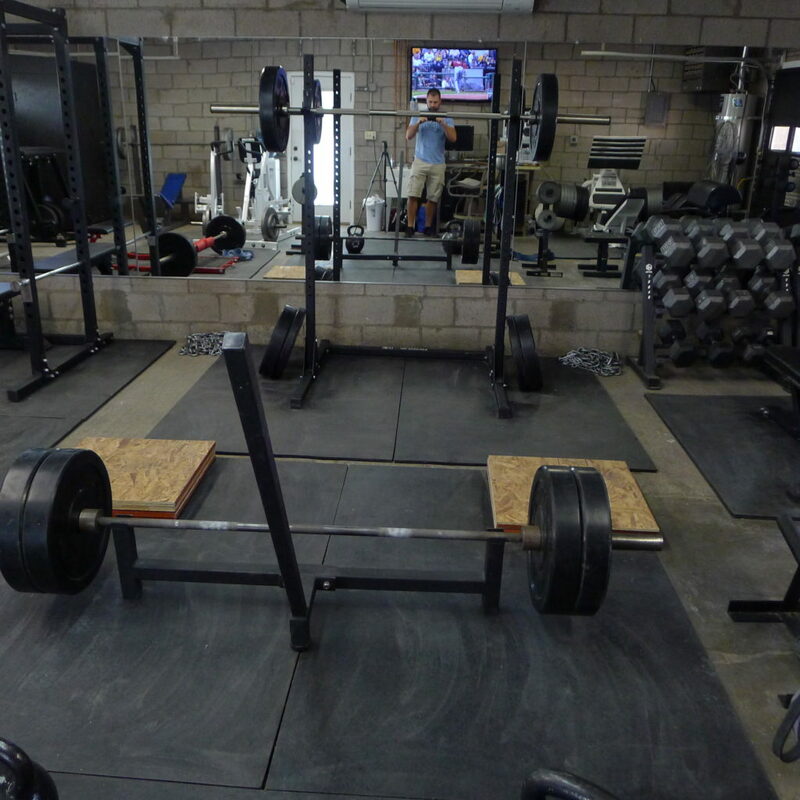 But you can do a ton of stuff just having a power rack and bench on some rubber mats. Barbell is king! Watched the gym tour and like you were saying… Yes, it is inspirational to see how much you have accumulated since you first started. Thanks Bret for sharing and inspiring. What kind of reverse hyper do you have? I really want to know how many sq ft is this gym and what’s the height? I believe it’s 770sf and 8.5 ft high. So much better! Crank whatever music you like. No waiting 30 minutes for a squat rack. It’s amazing. Hey Bret! 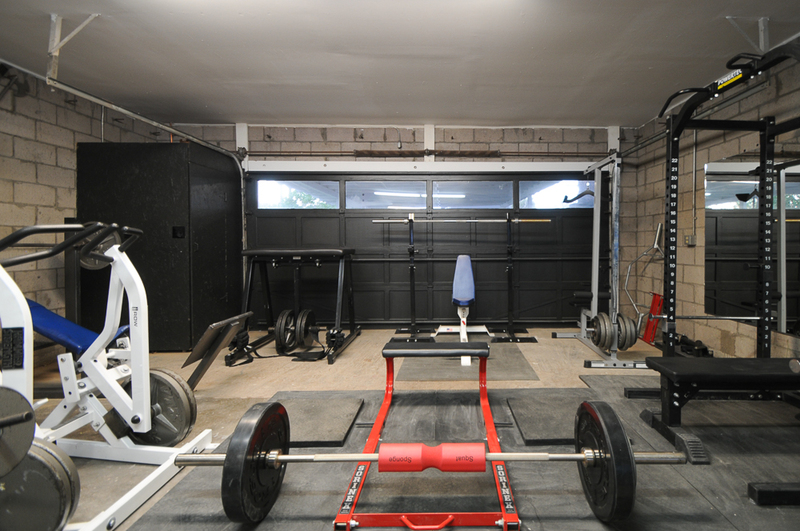 Awesome garage gym! What AC unit is that? 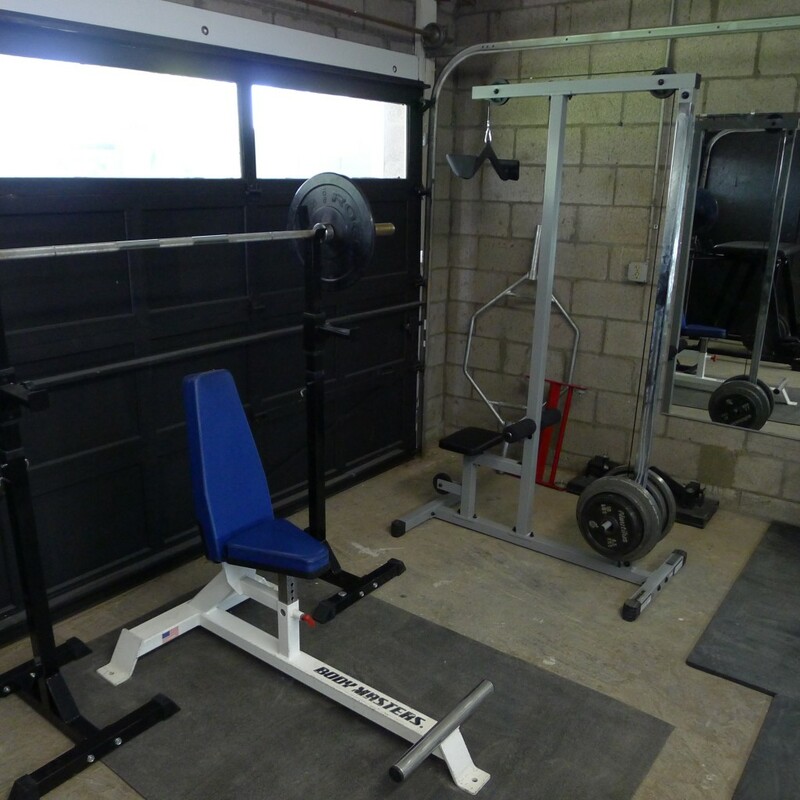 Im asking because Im outfitting my own garage gym and I live in Texas…so I feel your pain. Ha! Is it pretty strong? Wow! 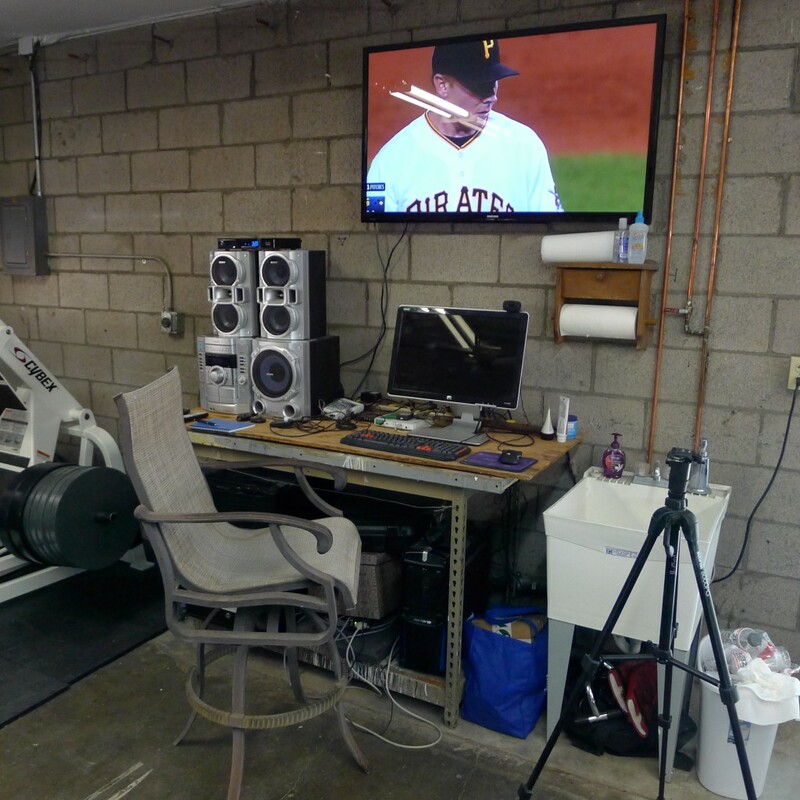 You home gym beats a lot of commercial ones, great job Bret. Sweet! I would love to have a home gym! The garage looks dope! I imagine its going to be PR central. Is this all new equipment or did you get some of the stuff you had before you moved to New Zealand? Nice gym Bret, reminds me of the garage gym I had in Texas. I miss it. That’s a pretty sweet home gym. 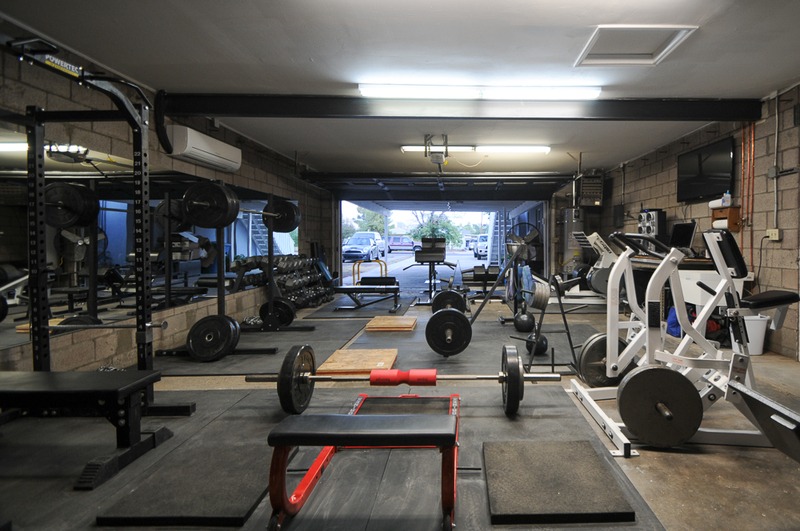 But, I have to admit that the atmosphere at any gym is more important than the equipment IMO. That’s why I have no desire to train at home. Although I am a self motivated person I just can’t put the same level of effort in at home. Home is safe, secure, quiet, and relaxing. So, getting away is necessary for me to turn it on, get out of my comfort zone, and challenge myself. This is why a home gym will never get the results I can get by going to somewhere else. Sick space bro! Congrats! What are the size of your pulling blocks (18×18)? Also, which MAG ,handle did you get? Continued success!!! If you had more space, what would you add in descending order of importance? Bret a quick question for you. For clusters, drop sets, pyramids, ect. what percentages do you use of your max for these. I’m not sure what weight to use on these. My bench max is 315. Can you give me percentages on these different schemes please? Totally inspiring! I want to go to there! I have a heater and an AC unit in my garage. The heater was already there…it’s old school and I have to keep a pilot lit all winter long, but it works insanely well. I bought the AC unit and it works well too, but I also have a giant fan. It’s now 2018 but in thankful to you for maintaining this older footage! I’m no where near experienced as prolly most of your followers are but I did start out at a world gym Houston (circa ’96). The owner was a body builder and most of the members there had affiliation as such. So I learned quite a bit but fell of! So over the past 22 years I’ve dibbled and dabbled (wish I would stayed consistent 😥). I just, last night, put together a Gold’s Gym weight bench and purchased 3 sets of dumbbells. Next month I’m investing in a Smith Cage (with extras- peck deck, etc.). I’m a highly self-motivated person and workout well/best alone! Thanks for the inspiration —>>> GOALS! By the way: I’m half Asian and can DEFINITELY associate to your past pains of being bootyless 😭😭 but it’s worse for a girl!!! At 53, I’m finally able to get a lift… These glute activation articles and information is so needed!!! I NEVER got a booty out of squatting et al… But like legs. Can’t wait to send you before and after pictures!! !